A pair of San Diego area legislators Friday announced a bill to ban the sale of guns and ammunition at gun shows held at the Del Mar Fairgrounds. The bill introduced by Assembly members Todd Gloria, D-San Diego, and Tasha Boerner-Horvath, D-Encinitas, would bar the state’s 22nd District Agricultural District, which oversees operations at the fairgrounds, from authorizing the sale of guns and ammunition on fairgrounds property. The bill would take effect in 2021, should the Legislature pass it and Gov. Gavin Newsom put pen to paper. The fairgrounds’ most popular gun show, the Crossroads of the West Gun Show, came under fire from local residents and gun control activists last year following instances of gun violence around the country. The 22nd DAA Board of Directors last September voted 8-1 to suspend the shows until concerns about improper gun and ammunition purchases could be ironed out. 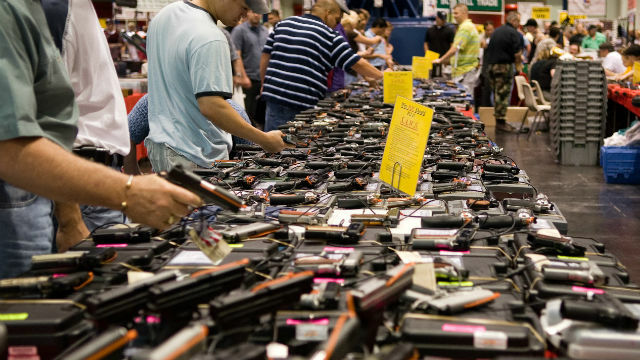 The fairgrounds held the last Crossroads of the West Gun Show on Dec. 8-9. Newsom, then lieutenant governor, submitted a letter to the 22nd DAA prior to the vote calling for an end to the gun shows. The cities of Del Mar, Encinitas and Solana Beach have also passed resolutions calling for stricter gun control and an end to the fairgrounds’ gun shows. Boerner-Horvath voted in favor of said resolution last March as a member of the Encinitas City Council. Gloria’s office expects the bill to head to Newsom’s desk this fall if it passes the Legislature. The bill is currently pending referral to a committee.